CATS, Chicago Advertising Tennis Society, is a coed doubles league that offers fun both on and off the tennis courts with year-round tennis and a variety of social events. CATS members play indoors at Lakeshore Sport & Fitness on Wednesday nights from 9-11 PM. CATS was founded in 1969 by people who worked in advertising and shared a passion for tennis. Today, CATS has approximately 180 members who represent a wide range of occupations, ages, and tennis skill levels. CATS offers two types of memberships, League Play and Social. A League Play membership is for those interested in playing on a team. Social memberships are for those who want to attend CATS’ social events and/or to play in the league as a substitute. 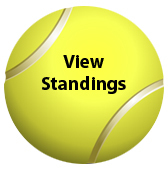 Club news and announcements are sent to members via email, and posted on the website, catstennis.org and on Facebook.